(Bloomberg) -- Auto companies are finding that it’s easier to adopt the trappings of the digital economy than to push through the changes necessary to become full-blown members. The messaging is on-target. 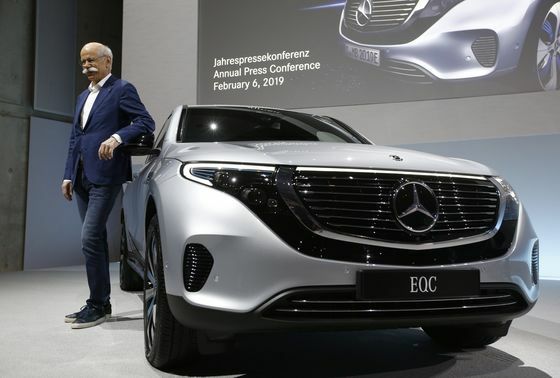 Outgoing Daimler AG Chief Executive Officer Dieter Zetsche now presents new models clad in jeans and track shoes, while Volkswagen AG headquartered its Moia future-tech division in Berlin, a one-hour train ride from the German carmaker’s mothership in Wolfsburg. Factories from Detroit to Turin are being re-fitted for the dozens of electric models planned over the next several years. VW, the world’s largest automaker, established a program called Faculty 73 to train 100 workers in Germany who want to become software developers, while Daimler established “corporate incubator” Lab1886 more then a decade ago with locations in Stuttgart, Berlin, Beijing and Atlanta. Robert Bosch GmbH, the biggest global car-parts maker, plans to add 25,000 software experts over the next five years and quadruple the number of artificial intelligence specialists to 4,000 by 2021. While that is a lot, it’s unclear if it will be enough to stop the likes of Alphabet Inc.’s Waymo and Baidu Inc. from taking over the wheel in technologies like self-driving cars that are poised to reshape the industry.